I first came across the name Nadar while I was reading Marcel Proust’s In Search of Lost Time and started collecting other books about him and his work, including a small book of portraits by Paul Nadar of Proust and his family and many of the models for the aristocratic and literary characters in the novel, from Charles Haas (Charles Swann) and Madeleine Lemaire (Madame Verdurin) to Anatole France (Bergotte). I was unaware at the time that there was far more behind the name Nadar than an ordinary turn-of-the-century Parisian portrait studio. Now, after visiting the exhibition “The Nadars: A Photographic Legend” at the Bibliothèque François Mitterrand, I know almost more than I want to about this interesting family that not only participated in the early days of photography but also helped advance both its artistic and scientific sides. 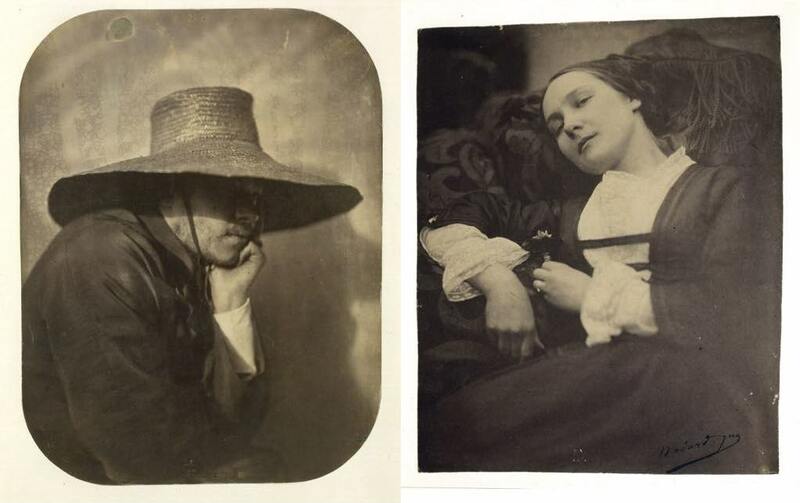 “Nadar” was a pseudonym invented by Gaspard-Félix Tournachon, a caricaturist turned photographer who had many friends and acquaintances in Paris’s literary and artistic circles, among them Charles Baudelaire, George Sand, Victor Hugo and Alexandre Dumas. His fellow caricaturists, among them Honoré Daumier, liked to depict him with a wild mane of hair, long spindly legs and a large sprouting mole on his face, usually seated in a hot-air balloon (he was a pioneer of aerial photography). Left: “Self-Portrait with Straw Hat” (c. 1854), by Adrien Tournachon. Right: “Musette” (1854-55), by Adrien Tournachon. BnF, Département des Estampes et de la Photographie. Félix founded his photo studio in 1855, at first working with his more artistic brother, Adrien, who soon founded his own studio, using the Nadar name and even a close imitation of the signature logo designed by Félix. Not surprisingly, this led to a rift in the family, with Félix suing his brother and eventually putting him out of business. That was a shame, since Adrien, judging from the few of his photos on display here, seems to have been gifted, as demonstrated by a pair of self-portraits wearing a wide-brimmed hat and a sensual portrait of a woman, “Musette” (1854-55). Félix’s son Paul grew up in the studio and as an adult took it over and expanded it. In a partnership with American George Eastman, he introduced the Kodak camera and flexible roll film to France so that everyone could become a photographer. 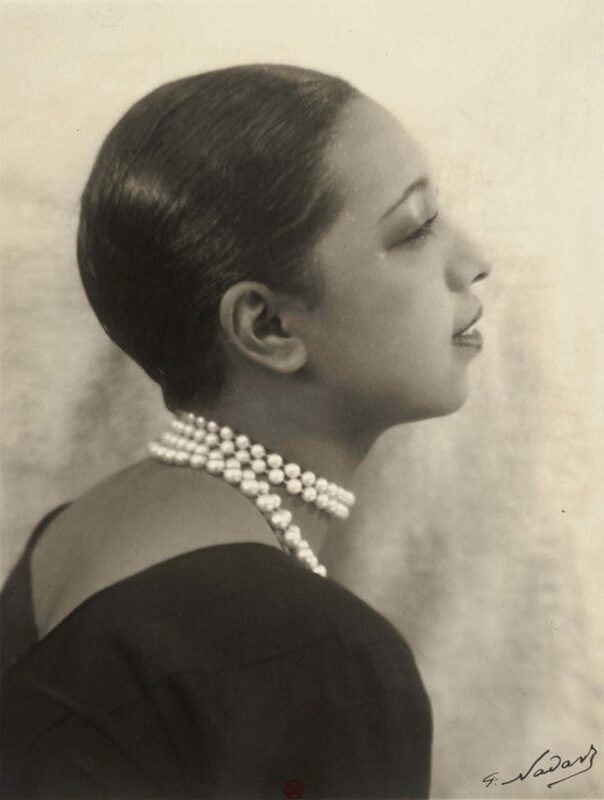 He also took many splendid portraits, including the one of Josephine Baker at the top of this page. The first section of the exhibition concentrates on the lives of the three photographers, followed by another featuring their portraits, which have none of the stiffness we tend to associate with the early days of photography – thanks to technical advances, the long poses once required to prevent blurring were no longer necessary. The goal of the Nadars was to reveal the “psychology” of their subjects. The frequent use of draperies rather than the sitters’ own clothing, as in Félix’s lovely shot of Sarah Bernhardt or Paul’s of Josephine Baker at the top of this page, gives the portraits a timeless feel, and many of them have been published so often that they look familiar to us today. The Nadars were great innovators and experimenters, always willing to try something new. 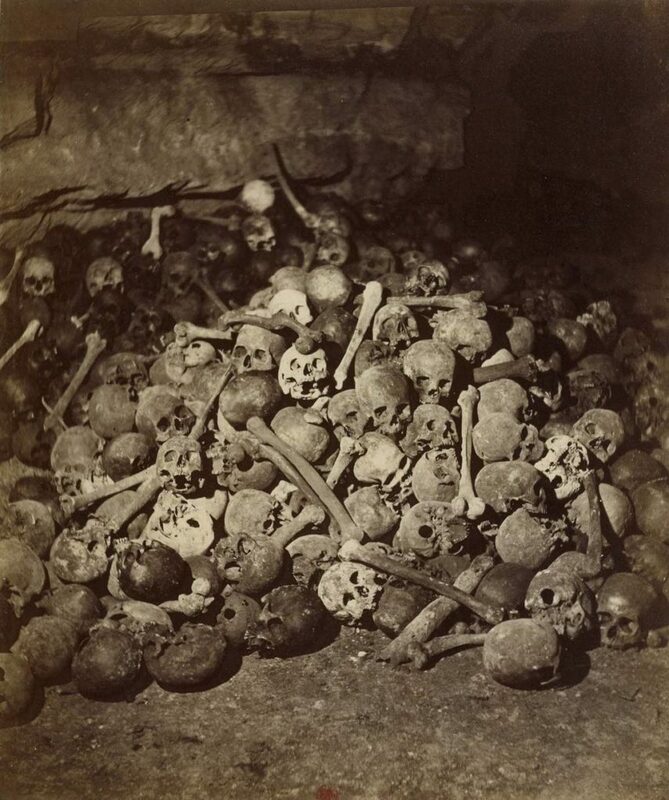 They pioneered the use of electric light in photography in the 1860s and even went underground to try it out in the Paris sewers and catacombs. They were ever-ready to test innovations in lighting, film, photographic papers, photo enlargement, etc., and even invented some of their own. Naturally, since it is being held in the French National Library, this exhibition is nothing if not well-documented. 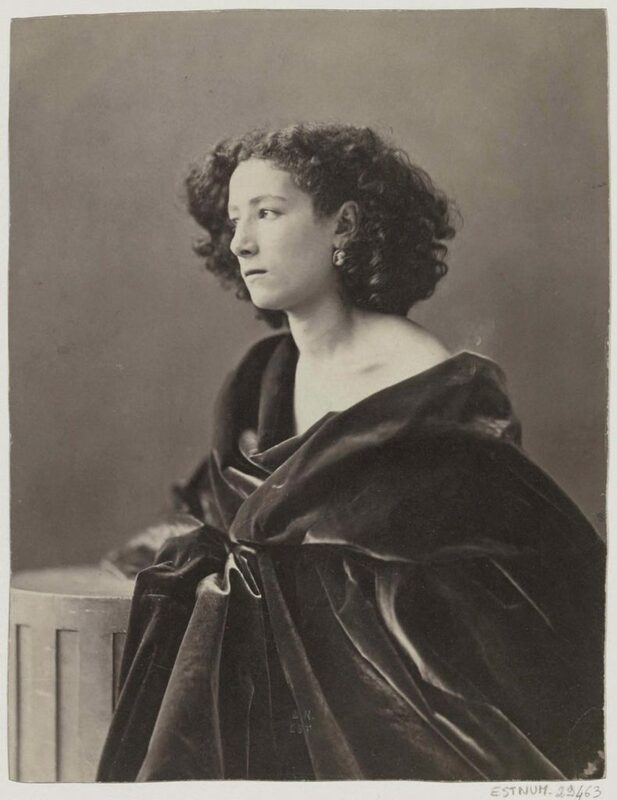 Although you may be dropping with fatigue, it is still worth reading the texts accompanying many of the photos to pick up nuggets of information (George Sand was Paul’s godmother, for example) and continuing to the end. I still have that strange, undated little paperback book, Le Monde du Proust, with photos by Paul Nadar, which was based on a traveling exhibition of the same name, but I see that a classier hardcover edition now exists, published by Les Éditions du Patrimoine. Proust fans will want to own it, but everyone interested in the early days of photography should see the Nadar exhibition. As a high school French teacher, I created an Impressionnist unit that included Nadar’s studio on la rue Capucine where the first exhibit was held. Interesting to learn more anout the family. Merci. I too discovered Paul Nadar through the book you mentioned of Proust portraits and his models. I knew nothing else about the family, so thank you for the info.